Business Needs Leaders. Every day, good and bad leaders make and break organizations. If you want to get anywhere in your career, showing leadership is crucial. So what do you really need to know about leadership? 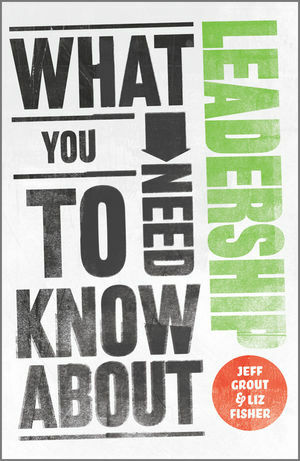 What You Need to Know about Leadership is the book you need to get to the corner office. Read More in the What You Need to Know Series and Get up to Speed on the Essentials…Fast. Jeff Grout is an independent business consultant, specializing in leadership. He is one of Britain’s most popular business speakers. Liz Fisher is an experienced business journalist, and author of The Bluffer’s Guide to Accountancy.